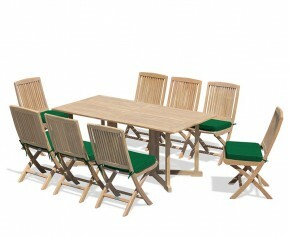 Our Rimini dining sets offer a stylish and slightly contemporary design. 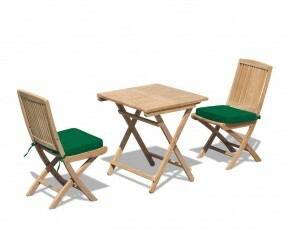 Featuring folding chairs, our Rimini dining sets are practical and require minimal maintenance. 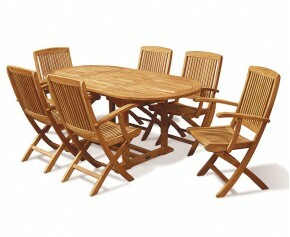 Our Rimini dining sets feature a variety of styles of teak dining tables, from folding tables to fixed, extendable tables, so you can choose whichever style suits your purpose best. A timeless favourite, this superb Berrington round garden gateleg table and arm chairs set is stylish, solid, practical and represents brilliant value for money. Offering a graceful combination of traditional material and contemporary style, this round garden gateleg table and arm chairs set is the perfect accompaniment to your outdoor setting. A timeless favourite, this superb Rimini garden octagonal gateleg table and arm chairs set is stylish, solid, practical and represents brilliant value for money. Offering a graceful combination of traditional material and contemporary style, this garden octagonal gateleg table and arm chairs set is the perfect accompaniment to your outdoor setting. 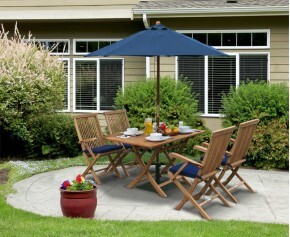 Add a social element to your garden setting with the addition of this great value Rimini table and benches set. 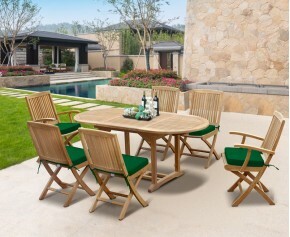 Offering a delightful combination of traditional material and contemporary style, this stunning Rimini teak table and benches set can be incorporated into any outdoor setting for the ultimate in al fresco dining. This superb double leaf extending garden table and chairs set offers a beautiful combination of solid construction and a contemporary design that can be incorporated into any patio or garden setting for al fresco dining at its best. This six seat garden drop leaf table and chairs set is solid, stylish, functional and can be easily incorporated into any patio or garden setting for al fresco dining at its best. 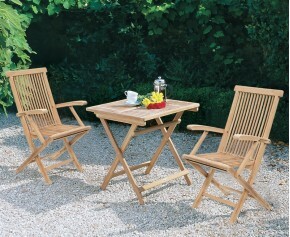 Delight friends and family with this teak garden drop leaf table and chairs set. 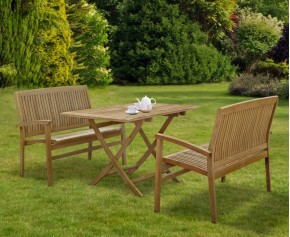 Representing brilliant value for money, this garden drop leaf table and chairs set is solid, stylish, functional and can be easily incorporated into any patio or garden setting for al fresco dining at its best. 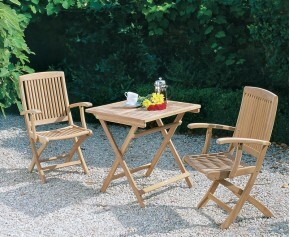 Delight friends and family with this garden drop leaf table and chairs set. Representing brilliant value for money, this garden gateleg table and chairs set is solid, stylish, functional and can be easily incorporated into any patio or garden setting for al fresco dining at its best. 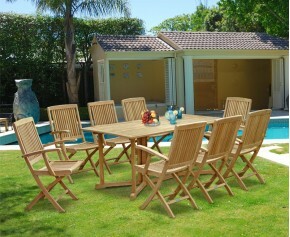 Our Rimini dining sets are made from the finest grade-A teak, ensuring extreme durability, longevity and weather resistance. 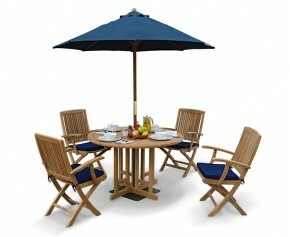 These teak dining tables will make a charming focal point of your space, especially when teamed with our parasols. 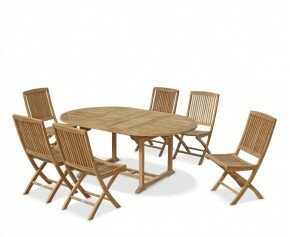 Coming in a variety of sizes, you are sure to find teak dining tables that fit your individual outdoor space. 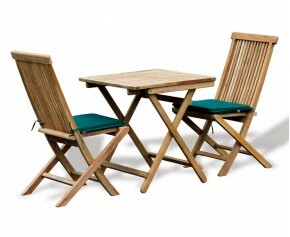 View our range of Rimini dining sets here.